Ever since I started travel hacking earlier this year, I’ve kept hearing about the Southwest Companion Pass. 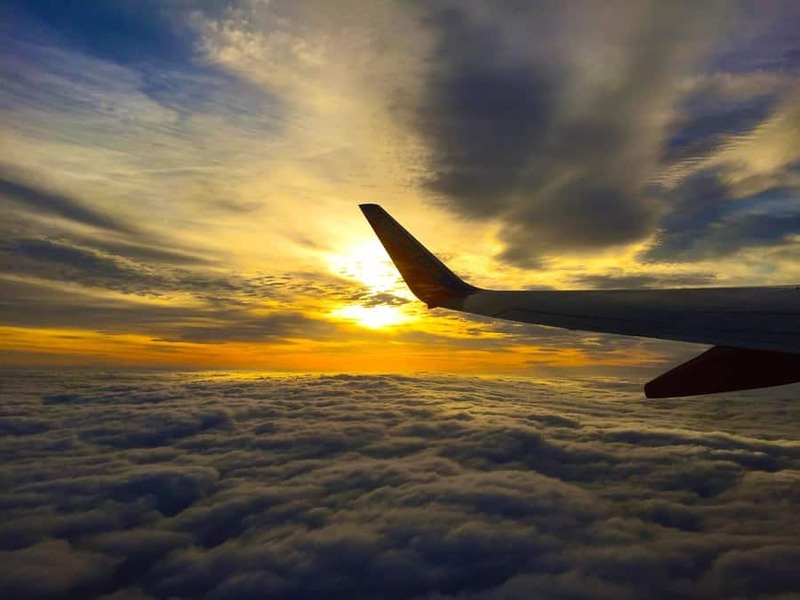 Many people consider it one of the best – if not the best – travel hacking perks you can earn. If Southwest flies out of your primary airport and you plan to travel domestically with two people, there’s incredible value you can get out of it. $3,600 worth of free flights for nearly two years, to be precise! The reason I’m writing about the Southwest Companion Pass now is that through the end of this week (until October 4, 2017), Southwest has made it super easy to earn the Companion Pass for all of 2018 and 2019. Normally, Southwest offers between 40,000 and 50,000 Southwest Rapid Rewards Points as a signup bonus, which makes getting the Companion Pass a little bit of a challenge. But through the end of this week, they’ve upped it to 60,000 Southwest Rapid Rewards Points. Thus, if you open up two Southwest Cards now and meet the minimum spend at the right time, you’ll end up having the Companion Pass all the way through 2019. Since I’m always one to jump on opportunities, this past week, my wife went ahead and snagged herself two Southwest Credit Cards with a 60k signup bonus for each one. With the right timing, we’ll be traveling for free domestically for the next two years! So what is the Southwest Companion Pass? It’s pretty simple. Basically, if you earn 110,000 Southwest Rapid Rewards points in one calendar year, you earn the Southwest Companion Pass for the remainder of the year that you earned it plus the entirety of the next year. Thus, if you earn the Southwest Companion Pass right now, you’d get it for the remainder of 2017 plus all of 2018. If you earn it in 2018, you’d get it for the remainder of 2018 plus all of 2019. The way it works is pretty straightforward. With the Southwest Companion Pass, every time you book a flight on Southwest, you get to have a companion fly with you for free. It’s basically a buy one, get one free deal. You buy one plane ticket, and you get a second plane ticket for your companion for free. The great thing about the Southwest Companion Pass is that even if you book flights using your Southwest points, you still get a free companion ticket if you have the Companion Pass. That’s huge! This means that you can buy a Southwest plane ticket using your Southwest points, then get a second ticket for free. Your points basically go twice as far. In short, someone that has the Southwest Companion Pass can fly for free using a combination of their points and their Companion Pass for as long as two years. Like anything that’s really awesome, it takes a bit of work and planning to earn this perk. Normally, Southwest offers 50,000 Southwest points as a signup bonus. As a result, in order to get the requisite 110,000 Southwest points in one calendar year, most people have to sign up for two cards, spend $2,000 on each card in order to earn a 50,000 point signup bonus for each card, then spend another $6,000 in order to hit a total of 110,000 Southwest points in one calendar year. That’s $10,000 of credit card spending, which, depending on your situation, isn’t all that easy to do. But because Southwest is currently offering a 60,000 point signup bonus for each card right now, it’s possible to earn the Companion Pass just by meeting the minimum spend on two cards. And if you follow the directions that I outline here, you’ll maximize your Companion Pass, allowing you to fly essentially for free until the end of 2019. In order to get the Southwest Companion Pass for all of 2018 and 2019, we’ll need to open up a minimum of two Southwest Credit Cards. As you can see, Southwest has two personal cards and one business card. In order to play it safe, my wife decided to open up two personal cards – the Southwest Premier Card and the Southwest Plus Card. The process of opening up the two cards is pretty simple. Just apply for the cards like any other card. You can apply for the Southwest cards directly through Chase’s website here or go to Google and search for Southwest Chase Cards. You should also set up your Rapid Rewards Account with Southwest in advance so that your signup bonus can be properly credited to your frequent flyer account (when you apply for the cards, you’ll enter your Southwest Rapid Rewards Account Number so that Chase knows where to send your points). The application page for the Southwest Cards. I recommend signing up for a Southwest Rapid Rewards account first so that you can enter your account information during the card application process. When applying for the cards, make sure that you use two separate incognito window browsers so that you can get two cards at the same time. If you don’t, Chase might reject one of your cards. My wife applied for the Southwest Plus and the Southwest Premier using two separate, incognito window browsers and was instantly approved for both cards. Once you’ve received the cards, I’d recommend sending a secure message to Chase to confirm when you need to meet your minimum spend. If you’re applying for these cards this week, your minimum spend date should be sometime in mid-January 2018. That’s because Chase typically gives you 115 days to meet your minimum spend requirements. Make sure to get this info in writing from Chase and screenshot it just in case. After that, the most important thing to do is to make sure that you don’t meet the minimum spend on either card until AFTER January 1, 2018. Remember, we want the Southwest Companion Pass for as long as possible, so we don’t want our signup bonus to post until after January 1st. If you hit your minimum spend requirements for both cards after January 1st, you’ll get your 60,000 point signup bonus on each card in 2018, and thus, earn your Companion Pass right there, making your Companion Pass good for the remainder of 2018 and all of 2019. But if you mess up and get your signup bonuses in 2017, you’ll earn the Companion Pass in 2017 and thus, will only be able to use the Companion Pass for 2017 and through the end of 2018. Below is the timeline that my wife and I plan to follow in order to maximize our Companion Pass for 2018 and 2019. Just follow this general timeline and you’ll be in good shape. September 24, 2017 – Signed up and was approved for the Southwest Plus and Southwest Premier Cards. Sent a secure message to Chase to confirm minimum spend date. October 1, 2017 to December 31, 2017 – Spend around $1,500 on each Southwest Card. (I recommend not getting too close to $2,000 just to avoid messing up and earning your points early). Early January 2018 – Spend the remaining $500 on each Southwest Card in order to hit the minimum spend requirement in January. Late January 2018 – Signup bonus posts in 2018. We end up with the Companion Pass all the way through 2019. Southwest cards are subject to the Chase 5/24 Rule, so you’ll need to know your 5/24 status to see if you’re going to be eligible to open up two Southwest cards. (Read the following post if you need more background about the Chase 5/24 Rule). Who Should Get The Southwest Companion Pass? Like with everything, whether you’ll want to do something really depends on your personal situation. In terms of value, the Southwest Companion Pass is nearly unbeatable. Southwest points are typically valued at about 1.5 cents per point. Thus, a 60,000 point signup bonus can be valued at about $900. Open up two Southwest cards and that’s $1,800 worth of travel you just earned. But, since the Companion Pass allows you to get a free companion ticket, your points are actually doubled. In other words, the 120,000 Southwest points you earned are really more like 240,000 Southwest points. At a valuation of 1.5 cents per point, you’re looking at $3,600 worth of travel on Southwest for two years! So who should get the Companion Pass? There are three things to consider. First, you obviously need a companion to fly with. If you don’t have one, then you’re not going to get much value from the Companion Pass. Instead, I’d recommend going for other cards like the Chase Sapphire Preferred or Chase Sapphire Reserve. Second, you need to live somewhere that has Southwest flights. If you live in a Southwest hub, even better. If you live somewhere that doesn’t have Southwest flights, your Southwest points will be pretty useless. Finally, you need to be planning to do a decent amount of domestic travel in the next two years. Southwest does fly to the Carribean, Mexico, and parts of Central America, but otherwise, its main routes are domestic flights. If you don’t fly domestically much, then I wouldn’t recommend going for the Companion Pass. As one last comment, the annual fees for cards like this are something that I used to worry about, but honestly, they shouldn’t worry you too much. Each year, Southwest gives you 6,000 or 3,000 Southwest points for each Southwest card you have (6,000 points for the $99 annual fee cards, and 3,000 points for the $69 annual fee card). This helps to offset the annual fee. Plus, at $3,600 worth of travel, it would take over 20 years before you paid more in annual fees than you got in travel. Trust me, if you travel, you’re going to come out ahead. What If I Missed This Deal? Don’t worry if you missed this deal! Southwest does seem to regularly increase their offers to 60,000 points, so you should have a chance to get it again without a ton of hassle. You just might not get the Companion Pass for as long as I’ll have it. If there are no 60,000 point offers, your other option is to simply earn 110,000 Southwest points by opening up two Southwest cards when they’re offering a 50,000 point signup bonus, then spending an extra $6,000 to reach the 110,000 Southwest Points. Just remember that you need to earn all 110,000 Southwest Points in one calendar year in order to qualify for the Companion Pass (in other words, you can’t earn 50k points in one year, then 60k points in another year – all 110,000 points need to be in the same year). When thinking about the Companion Pass, you just want to think about how you can earn it as close to the beginning of the year as possible. My recommendation would always be to try to earn it in the first few months of any particular year (January through April), just so you can have it for as close to two years as possible. If you’re under 5/24, have a companion to fly with, and plan to do a decent amount of domestic travel in the next two years, then you should definitely go for the Southwest Companion Pass. The main thing to remember if you’re going for it right now is to open up both cards at the same time using two incognito window browsers, and then make sure to hit the minimum spend AFTER January 1, 2018. Follow my timeline above and you can’t mess up. For those of you that do snag the companion pass this time around, enjoy your two years of free domestic travel! I know my wife and I will. Then in 2019, we’ll probably see if we want to go for it again. Happy travels! *Addendum: One thing to remember is that you need to earn all 110,000 Southwest points under one person’s name. You can’t combine points between two different people. 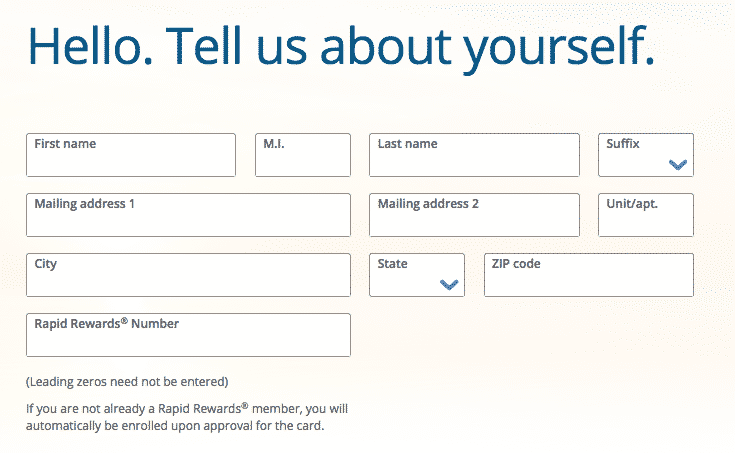 Sign up for the Southwest Rapids Rewards Program on the Southwest Airlines website. You need to do this so that you can have the points credited to your Southwest frequent flier account. Get the Southwest Plus and the Southwest Premier card under one person’s name. (i.e. both cards should be for the same person and have the same name on them). Use two separate browsers in incognito mode so that you can apply for both cards at the same time. So, apply for one card in one incognito browser. Then apply for the next card in another incognito browser right after. Send a secure message to Chase to confirm your minimum spend date. If you apply for it now, your minimum spend date should be sometime in mid-January 2018. Take a screenshot or save this message for your own records, just in case. Spend about $1,500 on each card from October 1, 2017 through December 31st, 2017. Remember, you don’t want to hit the minimum spend on each card yet because you want your bonus points to post in 2018. This is very important! Once January 1, 2018 comes around, spend the remaining $500 on each card before the minimum spend date deadline. Once you hit the minimum spend in 2018, your bonus points will post on your next statement date – likely January or February. You’ve now got the Companion Pass, which is good for the rest of 2018 and for all of 2019! Does the companion pass work for both purchased flights and points paid for with points, buy one get one free either way? Do you need to have 110,000 credited points for a certain amount of time to earn the companion pass? Yep, you can use the Companion Pass for both flights that you pay for and flights that you get using your points. Once you hit 110,000 points in a calendar year, you automatically get the companion pass when your next statement hits. Just remember that you need to hit the minimum spend on both cards after January 1st. That way, the 60k points will post on each card in January, 2018, and you’ll earn the companion pass for all of 2018 and all of 2019. That pesky 5/24 rule gets me every time with Chase these days. GRRR!! I’ve had the SW card before and love flying with them. Any liner beats Delta and especially United. Nice post, FP! Ah bummer! For someone with two little ones, Companion Pass could be pretty good – one for you, one for your spouse, and then both kids fly free! Hopefully you can get your hands on the Companion Pass next time around. Can you help connect the dots a little for me. So you each end up with 60,000 points, then do you have to transfer all the points to one account? Can you redeem the 120,000 points on flights in addition to getting the companion pass? This sounds like an awesome deal, I am definitely thinking about doing it. Good question! Sometimes I get so caught up in this stuff that I maybe don’t make things as clear as I could. So to get the Companion Pass, you open up two cards under one person’s name. The 110,000 points need to be earned all by one person, in one calendar year. You can’t split them up between two people. -From now until December 31, 2017, you spend about $1,500 or so on each card (so $3,000 in total spend in about 3 months). You do this because you don’t want the bonus points to hit until 2018. -You now have 120,000 Southwest Points to use, plus every time you buy a ticket with those points, you get a free flight with it. If you’re new to the world of travel hacking, this is a great one to get started with, assuming you’ve got a good enough credit score to be able to get approved for both cards. Awesome, that really helps clarify! Definitely going to give this a try! Ah, I’m still at 4/24 myself, although I’ve opened up 6 cards in the past year (two business cards which don’t count for 5/24 purposes!). My wife’s at 3/24 now after opening up these two Southwest Cards. I snagged the Merrill Lynch myself back in February. We put some wedding spend on it, then booked our honeymoon flights using the signup bonus. It was perfect because each flight was almost exactly $500, so we basically got maximum value on the M+ signup bonus. Very genius and thorough steps . I’ve never been on a southwest flight (we’re not in a SW hub) but they are consistently the top performers. Wish we could but travel hacking is always a fun read! There are a lot of other ways to travel hack as well! The Southwest one is just what I’ve been wanting to get for a while! We’ve had the Southwest Companion fare this year and loved it! It sometimes require routing a flight with a stop, but if it saves $100 bucks to lose an hour or so, I think it’s worth it. I think of my hourly pay rate and if it’s less than that, then it’s worth it. Makes sense! The nice thing for a midwest person like myself is that, being in the center of the country makes it much easier for us to do our domestic travel. We can pretty much go east or west in the same amount of time. Awesome post. Very thorough – thanks. There was a discussion of the SW Companion Pass on the one of the actuary forums, so I left a link for people there. Thanks AoF! I never even knew about actuary forums, so that’s new for me! Your plan is my plan exactly. I’m so glad I heard about the bonus because my friends know I love sign up bonuses and one friend was looking into the cards before I even knew about it! I applied on Saturday, and didn’t get instant approved which worried me, though I applied through 2 separate browsers (I was rejected earlier last month for the Preferred because I already had the Reserve). I was VERY happy to see the cards show up in my account this morning…it was better than Christmas morning. Now I just have to make sure I spend the last portion in January. Great tip on sending the secure message I’ll do that just in case too! Awesome that you got the card! Next two years will be pretty sweet! So I just successfully did this but I have a question-I wasnt approved right away(I applied a few days ago and just got approval over the phone, Im guessing because Im hitting my 5 card limit with them? ), but I noticed the promo is over, so will I still get the bonus offer since thats when I applied? Or does it only matter when I was approved because if thats the case Ill be pissed! Because there was virtually no reason for them to delay approval. Did you apply when the bonus was 60k? If so, you should still get the bonus, since that’s what you applied for. Once you’re approved, make sure to secure message them and make sure that you’re getting the 60k bonus and find out what your minimum spend date is. Yes- I basically did it as soon as I read your article and the offer was definitely valid- thanks for your quick reply! Thanks for the breakdown. One thing im unclear on. I opened a Business Premier card, and my wife opened a Premier. We entered the same Rapid Rewards number (mine) when signing up. Do you know if we can get both sign-up bonuses applied to the same Rrapid Rewards account if we opened separate cards under our own names, or do you definitely need both cards under the same person‘s name to get both bonuses? You need to have both cards opened under the same person’s name. So one of you will need to open up a second Southwest Card to get the companion pass.